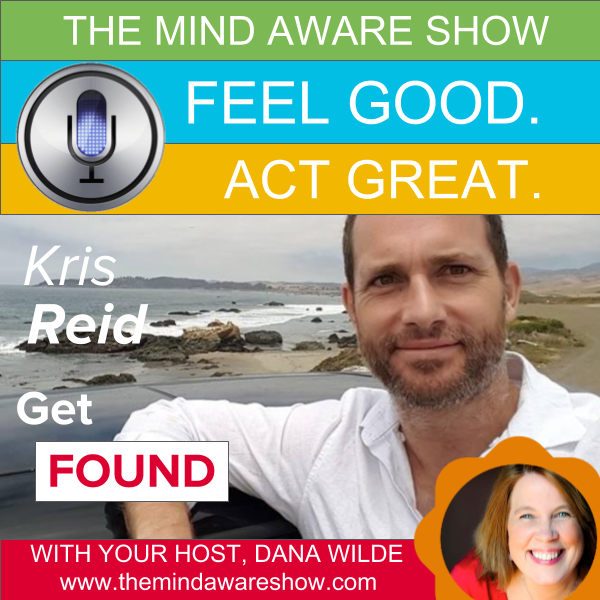 Get found with Kris Reid and Dana Wilde on The Mind Aware Show. Finding the products and services we need on Google is fairly easy process. However, being found as business that offers products and services is bit more challenging without prior knowledge of search engine optimization - or SEO for short. Search engines like Google or Bing have a very large and difficult task of sorting through information on websites to determine which sites deserve the top rankings when certain keywords are searched. This is completed through a series of algorithms that help Google asses content so that sites that are the most helpful and relevant are the ones you see first. In this podcast SEO expert Kris Reid talks with Dana Wilde and the mind aware about different strategies a business owner can take to help improve their website's ranking, user experience and conversion rate. Most business owners do not have the time or knowledge to fully comprehend the concept of search engine optimization. This makes sense because it is constantly changing, but one idea in this has remained consistent. Google is searching for the authority site to list as the first result on the SERP (search engine result page). With Google's help in placement this listing will normally see a rise in traffic and conversion rates. When a business uses proper SEO tactics Google can understand what your website consist of, why you should be considered an authoritative site and why you should rank higher than your competitors. Google currently looks at over 200 different parameters that determines how your website is ranked. This includes but is not limited to your content, spelling, grammar, internal and external links just to name a few. Kris's in depth knowledge and passion for business has allowed him to start the company Ardor SEO. Ardor works with other business websites to perform SEO audits that help identify what the site is missing and where is can be improved to get the top ranking on the search engine result page. Since the beginning, Ardor has helped many businesses optimize their sites by identifying what the site needs, and then by implementing these changes. Ardor focuses on improving user (your clients) experience by considering who your target market is and what they are actually looking for in terms of what they can understand and relate to. Ardor can also advise and assist businesses with citations that can allow the business to be found on Google Maps which is essential for any business that clients have to go to. This can be a lot of work, but with Ardor business owners do not need to put in the time or effort to learn the ins and outs of SEO and can continue to focus on the more important issues of the business - like making sales. In the Mind Aware podcast Kris Reid and Dana Wilde go over different ways you can improve your website and ranking with Google. This segment is valuable for business owners that have recently launched a site with no idea about SEO and the benefits it can provide. You can listen to the podcast G﻿et Found with Kris Reid and Dana Wilde now.